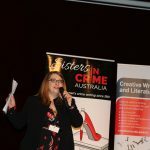 After talking about her ‘life in crime’ with author Leigh Redhead, Gazan will present six awards: Best Adult Crime Novel; Best Young Adult Crime Novel; Best Children’s Crome Novel; Best Non-fiction Crime Book; Best Crime Book (any category); and Readers’ Choice (as voted by the 500 members of Sisters in Crime Australia). Carmel Shute, Secretary and Convenor, said that the Australian crime fans would welcome the opportunity to learn more about Gazan’s award-winning thrillers. “Gazan will also offer us unique insights into Danish crime writing and the increasingly important role it is playing in the Nordic Noir crime wave,” Shute said. Gazan is a biology graduate from the University of Copenhagen and author of seven novels. The Dinosaur Feather, a scientific thriller, was her breakthrough crime book and has been published in twelve countries. 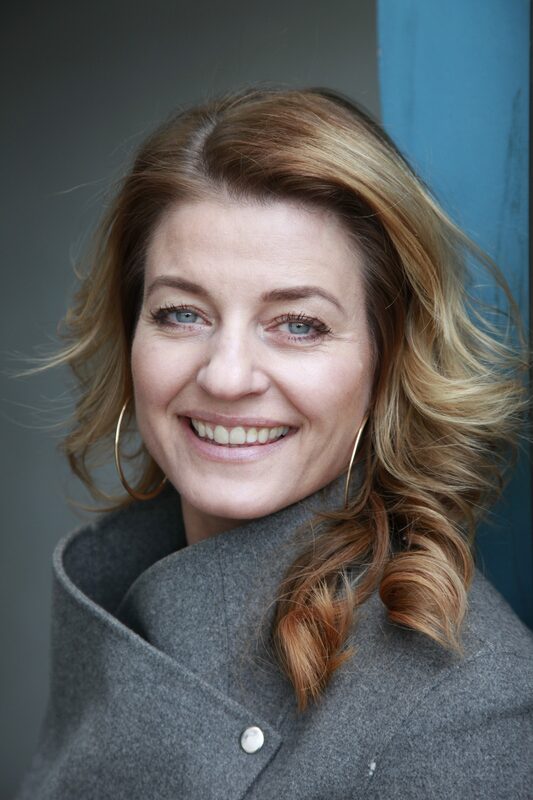 The Danish Broadcasting Corporation named it the Danish Novel of the Decade and Wall Street Journal listed it as one of the 10 Best Mysteries of 2013. It was also judged the Danish People’s Favourite Crime Novel of the Decade, 2000–10. Her second crime novel, The Arc of the Swallow, which she wrote and researched in Australia (though it’s not set here), follows the pattern established in The Dinosaur Feather of an academic murder interwoven with domestic turmoil. In 2014 Kazan received the Danish Readers’ Book Award. Gazan is married to an Australian with whom she has two children. The novel she is writing now, Grace Street, is her first book to be partly set in Australia. She is investigating the child abuse scandals in relation to the church in Australia as well as in Denmark and in other countries such as America and Ireland, after realising that members of her Australian family stayed at the scandal-riddled Box Hill Salvation Army Boys Home. All her novels, she says, are about secrets, science and relationships. Gazan now lives in Berlin. Shute said Sisters in Crime was also pleased to announce that Swinburne University of Technology’s Media and Communication Department will again sponsor the Davitt Awards. “Swinburne’s sponsorship last year made all the difference. The commitment of Swinburne – and most especially of Dr Carolyn Beasley, the Director of Writing – in fostering literary talent, particularly of the criminal bent, is unparalleled,” she said. Sissel-Jo Gazan Master Class, Writing, Media and Communications, Swinburne University of Technology, Burwood Road, Hawthorn. Presentation of Sisters in Crime’s 18th Davitt Awards by Sissel-Jo Kazan. Swinburne University, 2nd Floor, George Building.Compere: Leigh Redhead. Bookings open 9 July. Kazan’s visit to Australia has the support of the Danish Arts Foundation.